32 E Corral Saginaw, MI. | MLS# 044099 | Free home search for Wayne, Oakland, Livingston, Wastenaw, Saginaw,and Bay County Michigan. Research market information, home sale tips, relocation assistance and much more. No pressure, just honest help when you want it! The Corral in Golfside! Sumptuous ranch in one of Saginaw Township's most prestigious neighborhoods with a free-flowing floor plan perfect for intimate gatherings or lavish parties. This stunning 4 bedroom, 3.5 bath home is a showcase of innovative architectural and decorative details including skylights, vaulted ceilings, walls of windows, specially commissioned leaded-glass wall and finished basement with workout room. This 3,816 sq. ft. custom-designed home is a treasure trove of quality and luxury. Set on a beautifully landscaped, private lot with two brick patios, you owe it to yourself to see it today, because you're worth it. Features: Central Air, Fireplaces (2), Security System, Vaulted Ceilings, Foyer, Workshop, Patio Appliances: Dishwasher, Disposal, Refrigerator, Gas Water Heater, Elec. 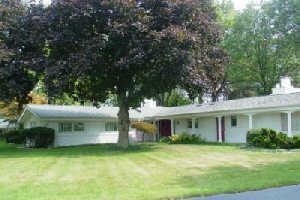 Range, Washer, Dryer Also features: * Single Family Property, * Area: S Saginaw Township, * County: Saginaw County, * Ranch, * Single story, * Year built: 1960, * 4 bedroom(s), * 3.5 bath(s), * 3 full bath(s), * 1 half bath(s), * Master bedroom, * Den, * Family room, * Formal dining room, * Formal living room, * Approximately 3816 sq. ft., * Master bedroom is 20 x 18, * 2nd bedroom is 15 x 11, * 3rd bedroom is 16 x 30, * 4th bedroom is 24 x 16, * Den is 14 x 11, * Dining room is 14 x 10, * Family room is 20 x 14, * Kitchen is 14 x 11, * Living room is 22 x 20, * 2 fireplace(s), * 2 fireplaces, * Fireplace(s), * Central air conditioning, * Central heat, * Gas heating, * Dishwasher, * Disposal, * Refrigerator, * Range and oven, * Stove, * 2 car garage, * Carport, * Basement, * Finished basement, * Approximate lot is IRREG, * Approximately 00.85 acre(s), * Irregular, * Public sewer service, * Public water supply, * Estimated annual taxes: $4373, * School District: Hemmeter Elementary,Heritage H.